Belize NMS: Mainly fair weather conditions will prevail during the next couple of days. General Outlook: Mainly fair weather with only isolated showers during Saturday, then a few showers along the south coast Saturday night. Today E 10-20 kts Moderate-Rough 4-6 ft ISOLATED SHOWERS, IF ANY. Tonight E-NE 10-20 kts Choppy 3-5 ft ISOLATED SHOWERS. Outlook E 5-15 kts Light Chop 2-4 ft A FEW SHOWERS SOUTH. A tropical wave is over the E Caribbean. See above. Scattered showers remain over Hispaniola. More scattered showers are over the Yucatan Peninsula, Belize, Guatemala, and El Salvador. The eastern extent of the E Pacific monsoon trough extends over Costa Rica, Panama, and N Colombia along 09N. 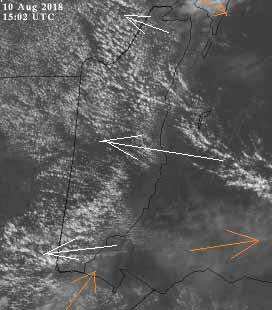 Scattered moderate convection is from 07N-11N between 75W-86W. 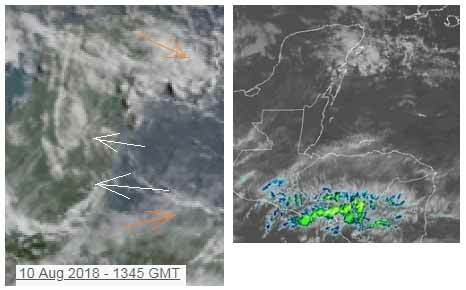 The base of an upper level low is over the NE Caribbean enhancing showers. A large upper level high is centered over the Gulf of Honduras near 17N86W. Anticyclonic upper level winds are W of 75W. High surface pressure north of the area will support fresh to strong winds over the south central Caribbean through early next week. The tropical wave over the E Caribbean will reach the central Caribbean Sun, and pass west of the region on Tue. Another tropical wave will move into the E Caribbean on Mon. Winds will approach gale force Sun night NW of the coast of Colombia as the pressure gradient tightens. 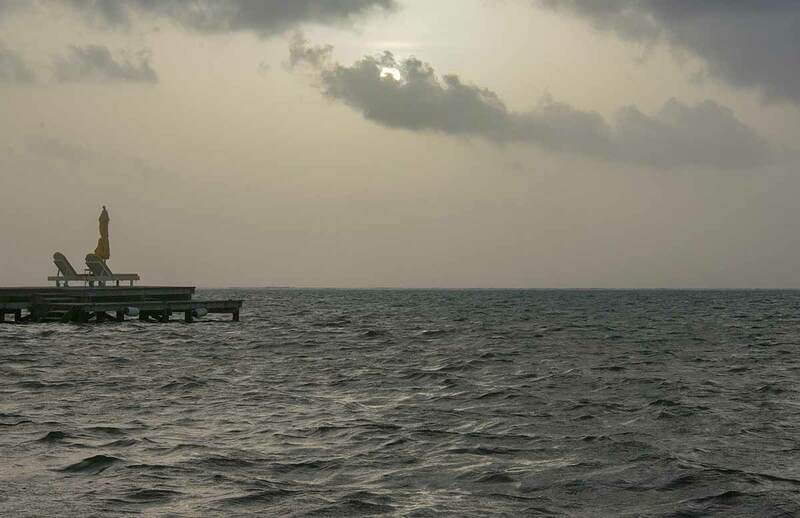 On Ambergris Caye this morning the wind is from the East at 10 mph. and the sea state is choppy. Today's expected high is 88 f.
Finally clear of rain for a while. Regular easterly Caribbean clouds building, in the south first, now started in the north. 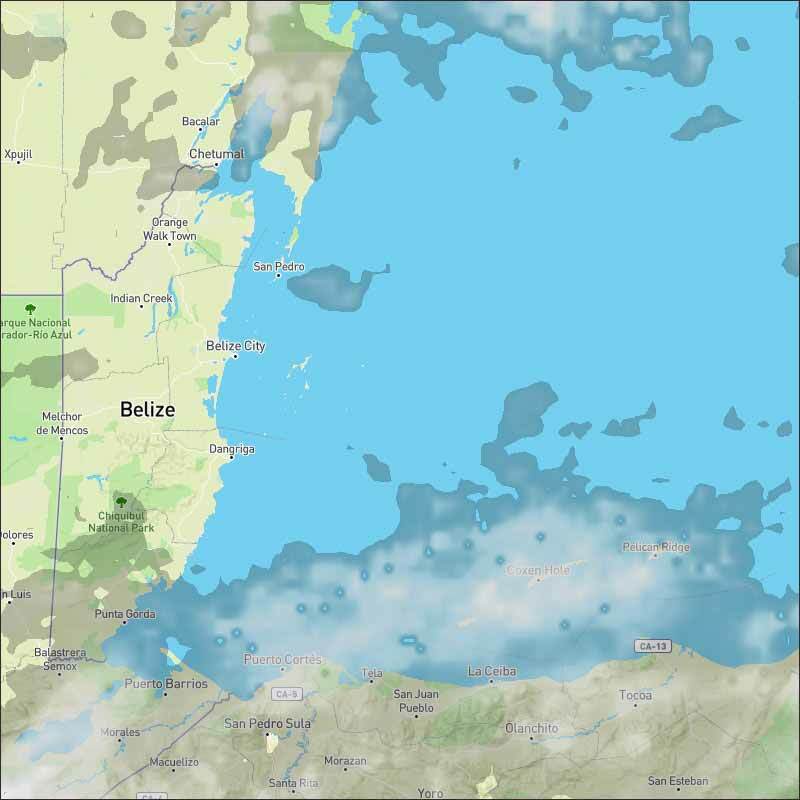 Little or no high level cloud over Belize, so no clashing at present. There is some Sahara dust back again. Looks like today will be mainly a mixture of sunshine and clouds, some fairly heavy, but little or no rain.